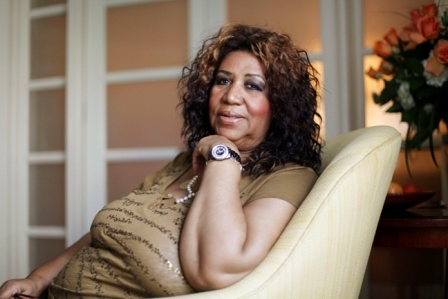 Franklin’s publicist Gwendolyn Quinn told The Associated Press on Tuesday that the Rev. Jesse Jackson and Franklin's ex-husband, actor Glynn Turman, also visited the Queen of Soul, who is seriously ill.
Former U.S. President Bill Clinton tweeted Monday that he and Hillary Clinton “are thinking about Aretha Franklin tonight & listening to her music that has been such an important part of our lives the last 50 years. In an interview with the AP on Monday, Emmy-winning actor Sterling K. Brown said, “May I wish the Queen of Soul all the best. Actress-singer Mandy Moore, who stars in “This Is Us” with Brown, said Franklin has “the most incredible legacy.